Dallas Personal Trainer - Not a common Dallas personal trainer exercise but a great conditioning tool that can be used to increase base leg strength and increase leg endurance in anyone from beginners up to advanced athletes. 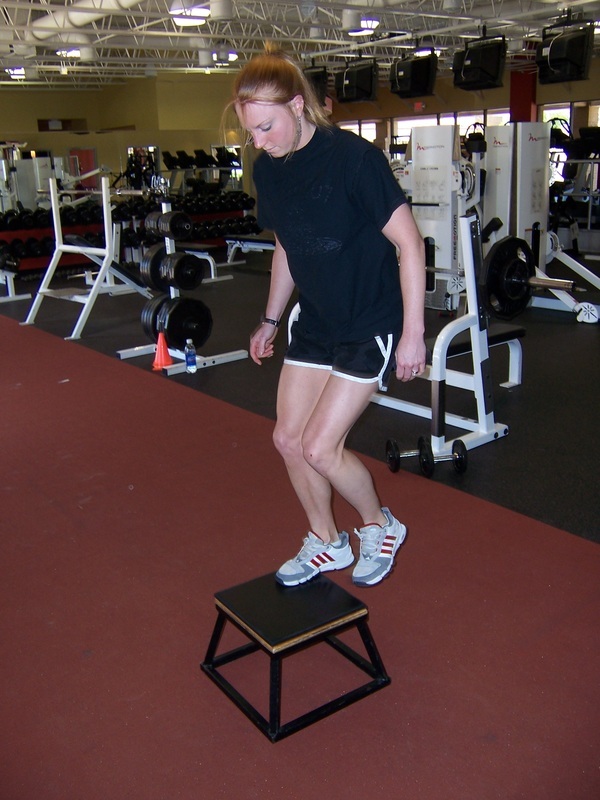 Start with a plyo box or a bench that comes to about mid-shin level. Stand in front of the box and rapidly step up onto it, leading with one foot, with the other foot following behind. Rapidly step back down, leading with the same foot that you led with when you stepped up. Repeat in this way for the specified number of reps. These should be performed as fast as possible, as though you are sprinting up a flight of stairs. After you have completed the specified number of reps leading with one foot, switch to leading with your other foot and perform the specified number of reps leading with this foot.